Beautiful. Sweet. Lovely. Colorful. Are we describing your aunt or flowers? Both! 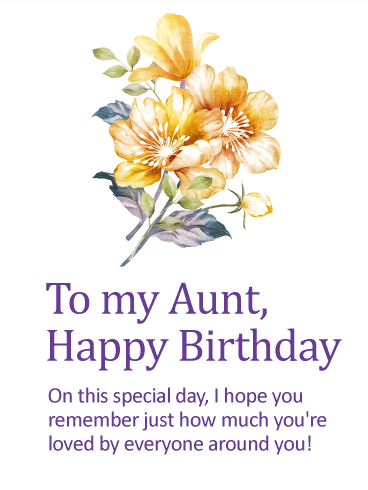 Aunts are amazing women who deserve only the best on their birthdays. Let her know she's a sweet, lovely lady with a beautiful laugh. 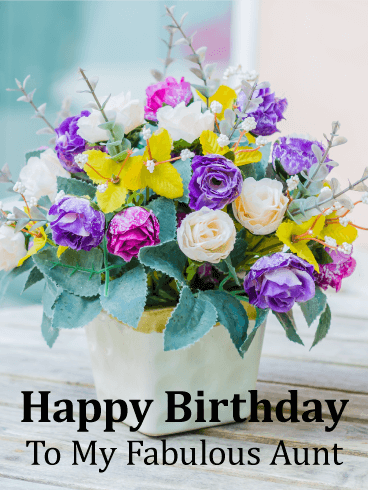 Send her this bouquet to brighten her day and wish her lots of joy on her birthday. She's a fabulous woman and deserves something that matches her in everything! 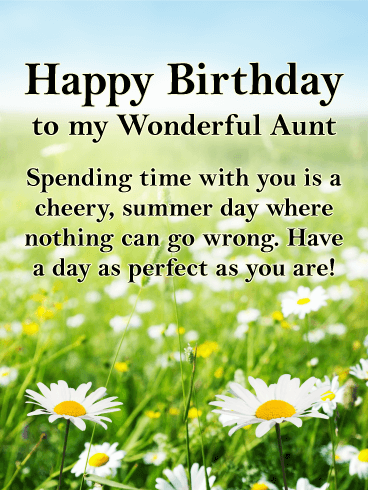 A special aunt deserves a special birthday, where she's reminded how much she means to all the people in her life...especially you! No matter how far apart you may be in miles, this beautiful birthday card, complete with a charming floral flourish, will bring you closer together while putting a bright spot in her day.